The Pulaski Skyway has been a vital link between New Jersey and New York City since 1932. It is part of the National Register of Historic Places, so the unique design features need to be preserved. The structure is an elevated steel bridge about 3.5 miles long with two 550 feet long spans crossing the Passaic and Hackensack River. There are two 11-foot lanes in each direction with no shoulders and it carries about 74,000 vehicles daily. 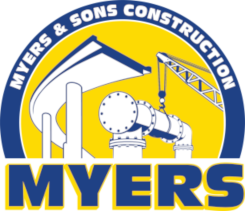 Myers and Sons Construction portion of the project includes a Polyester overlay on the existing bridge deck to meet the current safety requirements and demands.